This is the printed version of the pattern. If you would like the downloadable pattern, click here. 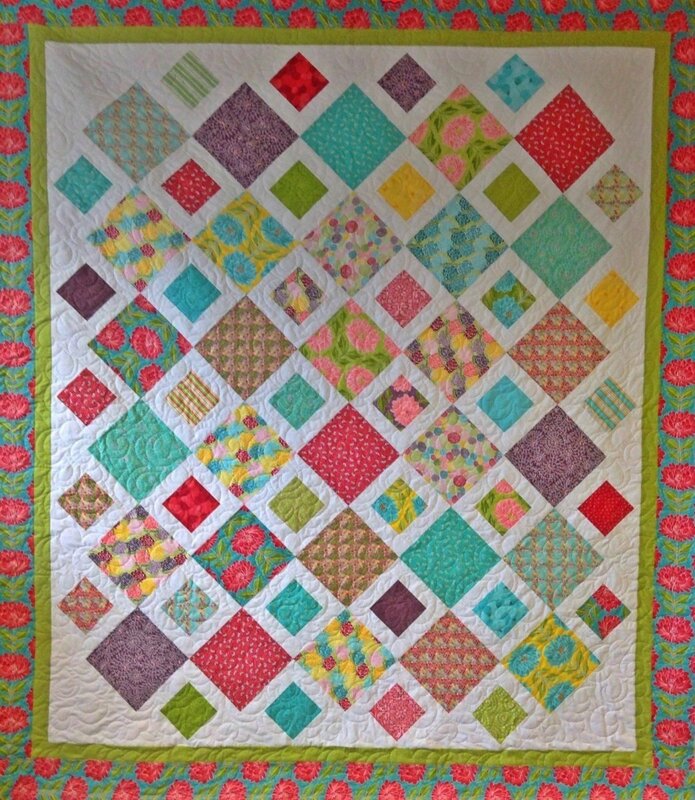 Pattern Description: A versatile quilt pattern that is fat quarter friendly, but can also be made using either a Layercake or one Charm Pack + fat quarters.